While it might sound morbid, every adult should have a will. At no time is this more important than when you're off on a career break or gap year and may be in a hard-to-reach or remote location, or participating in potentially dangerous activities such as hang-gliding, yachting or snowboarding. Wills exist not only to distribute your worldly goods and savings the way you want to among friends and relatives. They are also a way to ensure your money goes to the charities you want, that you set up guardians and/or trust funds for your children in the correct manner, to make provisions for pets and minimise inheritance tax. In short, writing a will is an investment in the future after you've gone, and is therefore something we all need to do. Even if you have few possessions, having a will is advised. At worst, not having one and dying interstate can leave relatives with untold legal wrangles plus unnecessary inheritance tax. Get advice from a professional instead of trying to make a will on your own. A will that is poorly written can often be worse than no will at all. The Citizen's Advice Bureau can provide lists of local solicitors, and can also tell you if you qualify for legal aid. If you do make your own will, you will need two witnesses aged 18-plus to sign, neither of whom can be beneficiaries. If you make revisions (minor changes), you will need witnesses to sign again, but they can be different individuals (but not beneficiaries). Resist temptation to appoint your bank or solicitor as sole executor. This could leave friends and/or relatives with no point of address and difficulties making complaints. 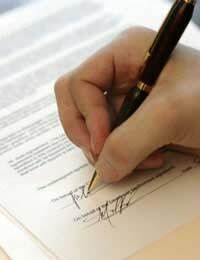 An executor can be listed as a beneficiary. Keep your will in a safe place, in a bank or with a solicitor or probate registry. If you want to keep it with friends, make sure someone competent knows where it is. Tax is payable if your estate exceeds a specific threshold, which changes from year to year (for 2007-2008 the cut-off was £30,000). For more information, see the HM Customs and Revenue website, referring to the Customer Guide to Inheritance Tax (www.hmrc.gov.uk), which is available only on-line. If this happens, the Administration of Estates Act goes into effect. Normally a spouse will get the largest proportion of your possessions, followed by children. If you have no partner or kids, it will be divided in order of living relatives. If you have none, it will go to the state. It is estimated that half of all Britons have not made a will. Writing a will is the only way you know without doubt that your possessions will be distributed the way you want them to be upon your demise. Even if you your finances are few, don't leave it to lawyers to sort out and run the risk of your loved ones falling out over who gets what. Making a will should be the responsibility of every adult, and if you don't already have one, then going on a career break is the perfect impetus you need to write one now.